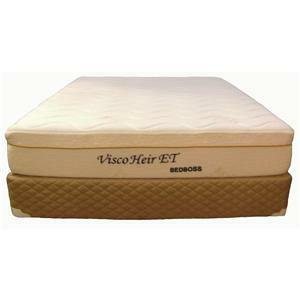 The Crystal Cove II Plush King 10 1/2" Plush Mattress by Coaster from Nashco Furniture - Nashville. We proudly serve the Nashville, Franklin, Brentwood, Clarksville, Green Hills, Davidson County, Williamson County, Tennessee area. Product availability may vary. Contact us for the most current availability on this product. The Crystal Cove II Plush mattress is designed to give you a soft sleep surface, making it easier to fall asleep and get the deep sleep you need. 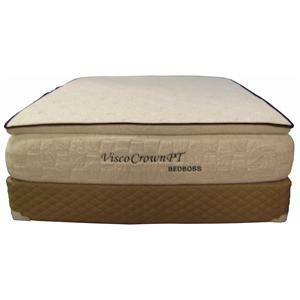 Available in six sizes to accommodate any bed, you can address any mattress need in your house. 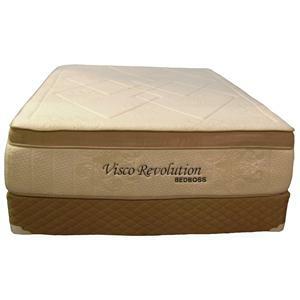 A great value mattress, good for a back or side sleeper. 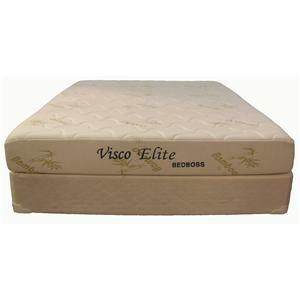 The Crystal Cove II Plush collection is a great option if you are looking for Mattresses in the Nashville, Franklin, Brentwood, Clarksville, Green Hills, Davidson County, Williamson County, Tennessee area. Browse other items in the Crystal Cove II Plush collection from Nashco Furniture - Nashville in the Nashville, Franklin, Brentwood, Clarksville, Green Hills, Davidson County, Williamson County, Tennessee area.